With a big fanfare at the start of last year, legal measures were introduced to tackle the issue of dog mess on our footpaths, verges and parks. But despite these new powers, no spot fines have yet been handed-out in Wealden. After an extensive consultation involving 1,200 residents, Wealden District Council introduced a Dog Control Order which came into effect on 1st January 2014. 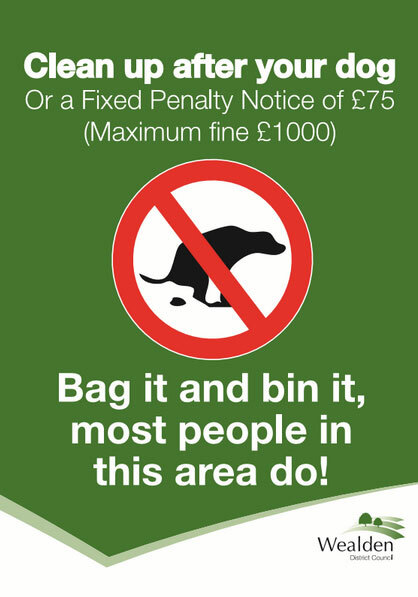 The Fouling of Land by Dogs (Wealden District Council) Order 2013, allows Council officials and PCSOs to issue £75 spot fines, when they see a dog owner failing to clear up after their pet in public places. 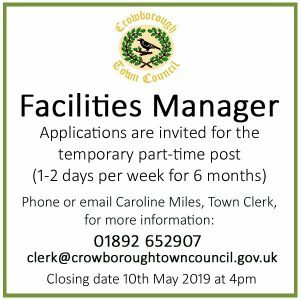 However a Freedom of Information request by CrowboroughLife has revealed in the past year, not a single Fixed Penalty Notice has been issued. 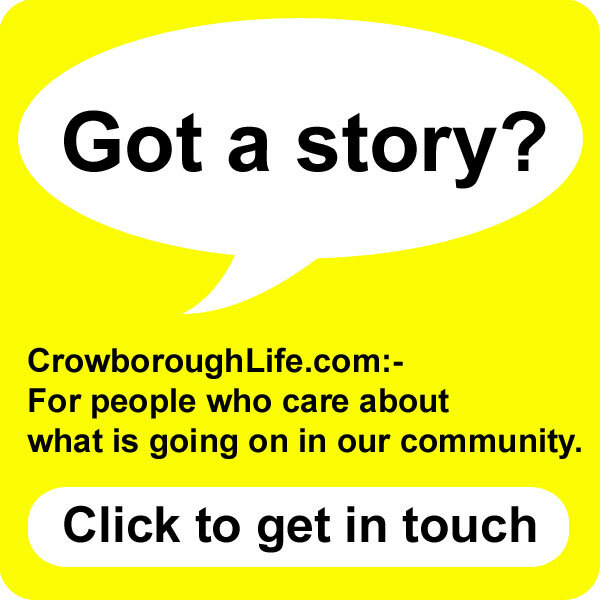 94 per cent of people and organisation, including 245 from Crowborough, said they were in favour of introducing the new legal powers. When consulted nearly half said one of the reasons people don’t clear-up after their dog was lack of a sufficient deterrent. The top reasons given were laziness and little chance of being seen. This is a measure that has been needed for a long time. Ask any parent whose child has stepped in dog mess! No – because there will be no enforcement. I am a dog owner and also the parent of a child under 5. I live in xxxxxxxxxx and am horrified by the amount of dog faeces that is on the pavements and grass verges. 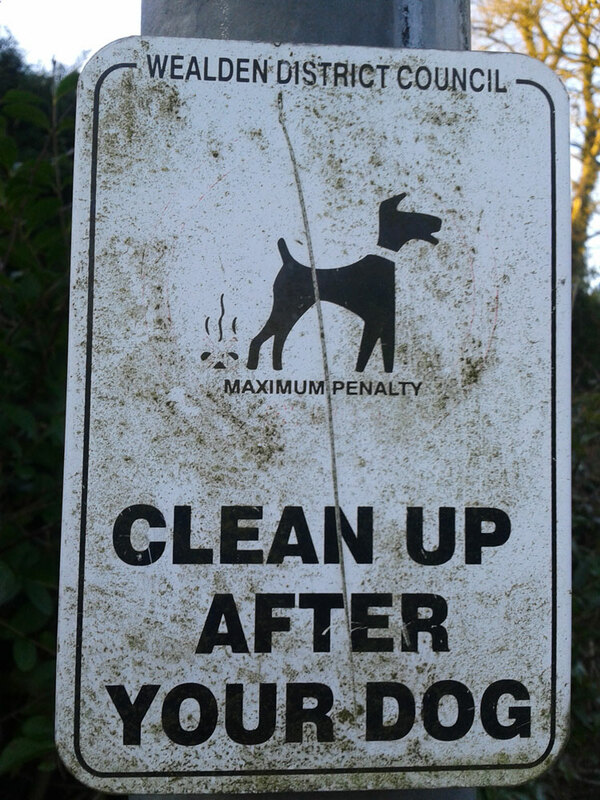 We always clear up after our own dog but despite there being a bin, there is dog faeces left within meter of the bin on the pavements and verges. The effect that this could potentially have on my son’s health really concerns me. The Council’s Street Scene Team has carried-out random patrols over the entire district, and the Council say they are happy to patrol any area perceived to have a problem. The Council are keen to point-out that two people have been verbally warned. New style signage is gradually being introduced into all areas where a problem has been encountered. Posters have been displayed in every veterinary surgery in Wealden, and the Council say they are in the process of seeing if pet shops will display them. Is dog fouling a problems where you live? 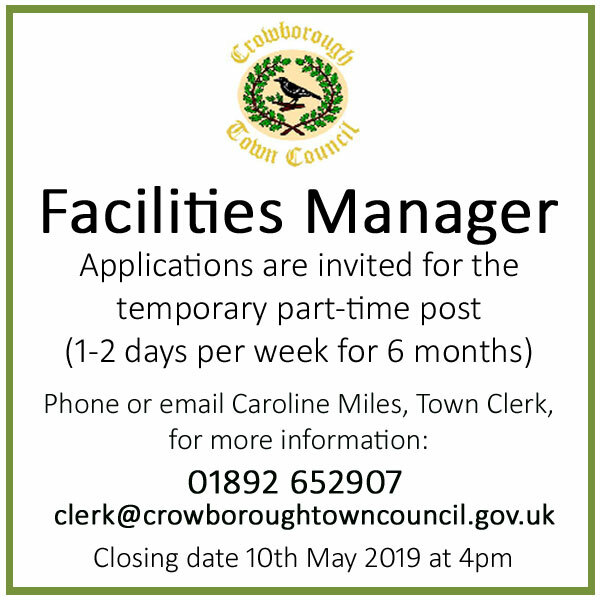 What are the worst areas in Crowborough? Do you think the fines are unecessary and an example of ‘nanny state’? Have you asked Wealden Street Scene Officers to carry-out a patrol? Add your comments below, or say what you think on Facebook. There seems to be a regular offender along Western Road near the Car Wash end & probably the SAME mutt > I own a dog & find it infuriating that someone gives the rest of us dog owners a bad name!! !Feel sorry for the property owner when he starts mowing his grass in the Spring?? New Road and the WDC New Road Car Park, are regular places to find dog excrement.